Simple, Delicious, & Nutritious. Delivered fresh to your doorstep. Don’t have time to cook? Don’t like to cook? Don’t know how to cook? 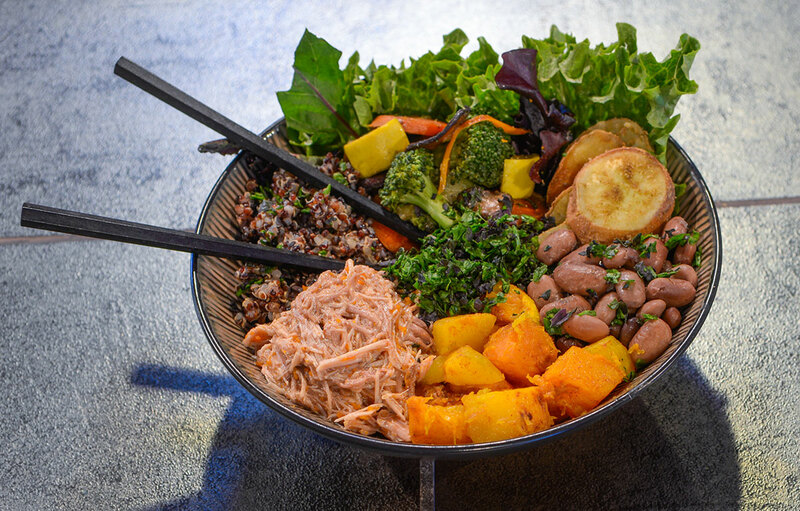 Kung Food has been designed to provide you with a simple, delicious and nutritious customized food system that gives you a variety of easy to assemble meals that will accommodate most dietary preferences and follows the basic guidelines of an anti-inflammatory diet. Subscribe to receive our weekly menu in your inbox. Every Tuesday subscribers receive a menu via email consisting of eight healthy, delicious items to choose from. Flavor themes change weekly. Make your order in between Tuesday and Friday on our ORDER PAGE. Select sizes and quantities of each item you want and pay with Paypal or Credit Card. All items are available in quart or pint sizes, and will be delivered packed in glass jars. On the following Monday, leave a cooler on your doorstep with the clean, empty jars from the week before and your order will be delivered between 5 and 7 pm. Eating well has never been so easy! These dishes are mindfully crafted each week to taste great alone or in any combination. 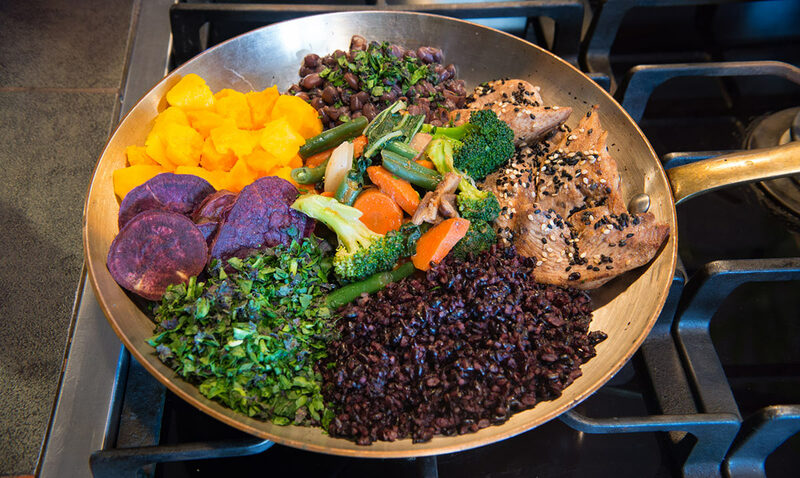 Throughout the week, combine any or all of the menu items you ordered in one pan, heat them up, and enjoy healthy meals in under ten minutes! All dishes come fully cooked except for the Super Greens (purple kale, spinach and parsley), which come raw and finely chopped so they can simply be tossed into the pan to cook while the rest of the food reheats. It is ideal to use a splash of bone broth in the bottom of the pan for optimal flavor and nutrition! Because Kung Food is designed to meet a wide range of palettes it will always stay on the mild side. Feel free to add your own spices or sauces or combine with other ingredients in your kitchen to meet your specific desires! Kara Miller is a Licensed Acupuncturist and Certified Chinese Herbalist with over 20 years experience in healthcare and nutrition. 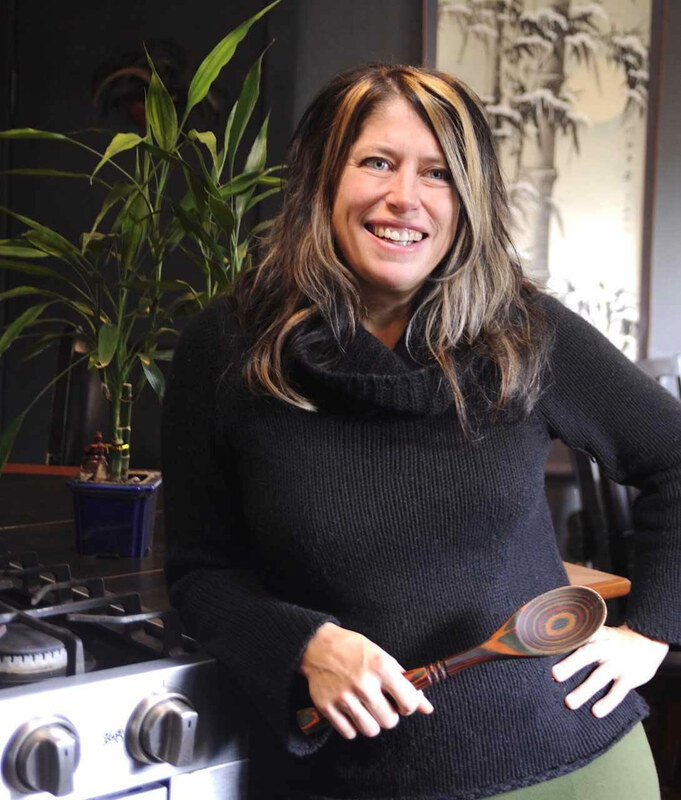 Kara applies her deep knowledge of nutrition and wellness to her passion for flavorful food. She has a unique sensibility in the kitchen and has a way of making even the simplest foods taste decadent. Kung Food was born out of years of requests from friends and patients for Kara to cook for them but with so many dietary restrictions and limitations, she felt it was impossible to find recipes that could satisfy everyone’s palette and nutritional needs. Kung Food was developed in an effort to create a way to get her food out to the people and make sure everyone got exactly, and only, what they want. 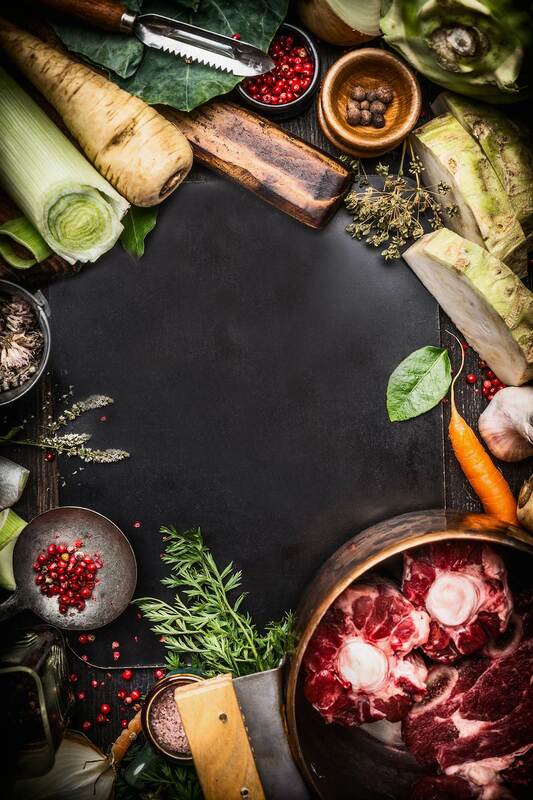 Bone broth is an excellent source of many key nutrients: glycosaminoglycans (GAG’s), chondroitin sulfate, keratin sulfate, and hyaluronic acid. It also contains glycine and proline, collagen from the gelatin, and minerals such as calcium, phosphorus and magnesium. Not only is bone broth such a nutrient rich and delicious source of nutrition, but also using by using a material that is generally considered waste we lessen our environmental impact. Consuming bone broth has a “protein sparing” effect, meaning that it reduces our nutritional demand for meat. While eating locally sourced organically and naturally pastured animals can be a healthy part of the economy and nutrition of our community, meat production inherently requires a huge amount of the worlds water, land, and other resources to produce a relatively small amount of food. Reducing our dependence on it helps our planet produce more food with a smaller resource footprint so that everyone may have access to a healthy diet. Jade Tonics are bone broths that have been fortified with traditional Chinese herbal formulas. We cook the herbal formulas in the traditional method, then gently blend them with the freshly made bone broth for an amazing power packed beverage! They are formulated to be tasty enough to sip right out of your mug, but are also delicious as a base for soups and stews, or for cooking grains. 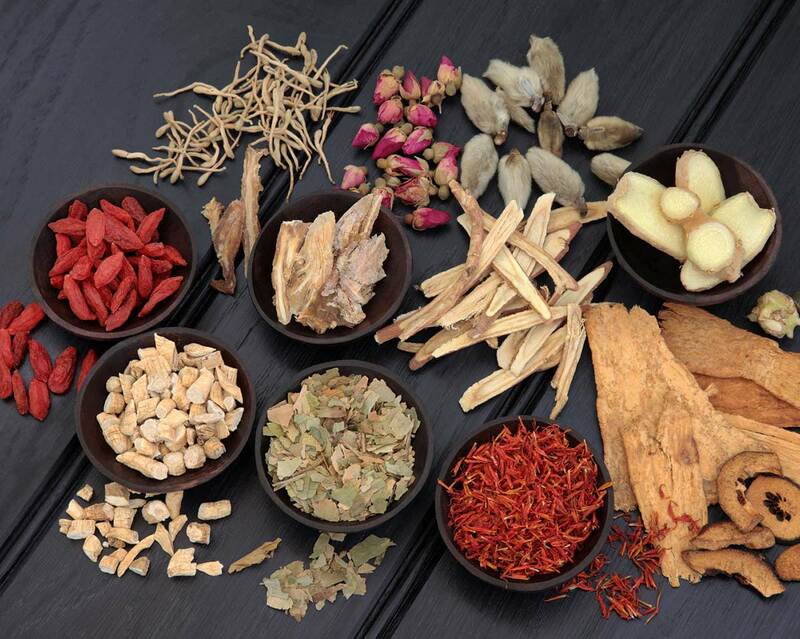 The herbal formulas are formulated by a licensed acupuncturist and certified traditional Chinese herbalist (moi!). Having a meal prepared by Kara waiting for me when I get home is nothing short of a gift. Her meals are healthy and imaginative, full of flavor and prepared with love. When I’m too tired/lazy to cook, it’s miles beyond any other meal options that come in a box. Fresh, healthy food, lovingly prepared. There’s nothing like it! Kung food is Crucial! I’m on the go most of the time, and eating healthy is so important. Kung food is the nutrition I need with the flavor that represents the name! Kung Food! packs a serious punch. Not only can you taste the dedication and care that Kara puts into every ingredient and dish, you can feel the vitality of the food all through your body. Seriously, when I eat one of her meals, I feel like Popeye after he eats a can of spinach. Her dishes are hearty, delicious, and best of all, they’re super easy to prepare. You just combine the ingredients in your cast iron pan on low heat, letting the flavors and ingredients mesh together for the most convenient, nourishing, and wholesome meals imaginable. Kung Food bone broth is no run-of-the-mill broth! I’d always wanted to incorporate it into my diet but just didn’t quite know how. It’s so delicious that I drink a mug every morning and cook almost all my meals with it. I can literally feel the strength in my body with every sip. My family is so much healthier with Kung Food broth added to our diet. Wow, Kung Food! Always a good decision. Tasty delicious menu. Happy to have this option in my world. Great for the single lifestyle which can be hard to include cooking healthy meals. Kung Food helps me stay on track with food choices in my busy lifestyle. Thanks Kung Food! I’m so happy to have found Kara and Kung Food! I only wish I would have known about this sooner! I’ve always wanted to eat healthier but never felt I had the skill or time. This is so easy and delicious and it is absolutely a bargain when I consider how much time I save. And I’m finally eating the way I have always known I should! Thank you Kung Food! A: As much as you want! Because you create your own order, you can order as much or as little each week as you want. There is no set order or quantity, you simply go to the order form, choose which items you want from this weeks’ menu, and purchase them. You can order one meal for one person, or enough to feed the whole family all week! Q: How much food is it? A: Again, as much as you want. You decide how many items and what sizes you order. This is designed to be completely customized to your taste, dietary preferences and the size of your family/household. You decide exactly what you want, and exactly how much. Q: What if I’m vegetarian/paleo/allergic/sensitive? A: The Kung Food meal system has been designed to be completely customizable, so if you are vegetarian for example, you won’t order the meat, but all the other items would be fine. If you are paleo, you simply won’t order the grain or legume. You choose exactly which items you wish to purchase each week. Q: How many days a week do you deliver? A: Only on Mondays. All cooking is done the day of delivery, and delivery is between 5 and 7pm. Kung Food is designed to feed you through the average workweek. Q: What if I forget to put my cooler out? A: Your food will still be left by your front door. It is very important to remember the cooler so that the food maintains a safe temperature. It is cooled according to stringent standards after being cooked, and maintains proper temperature during delivery until it arrives at your front door. If you forget your cooler and it sits out too long you are at risk of your food not being safe for consumption. Q: What if I forget to put last weeks’ jars out? A: It is very important to return jars each week! You have one week to catch up, as long as you put them out the following week, no problem. After that you will have to pay another deposit. 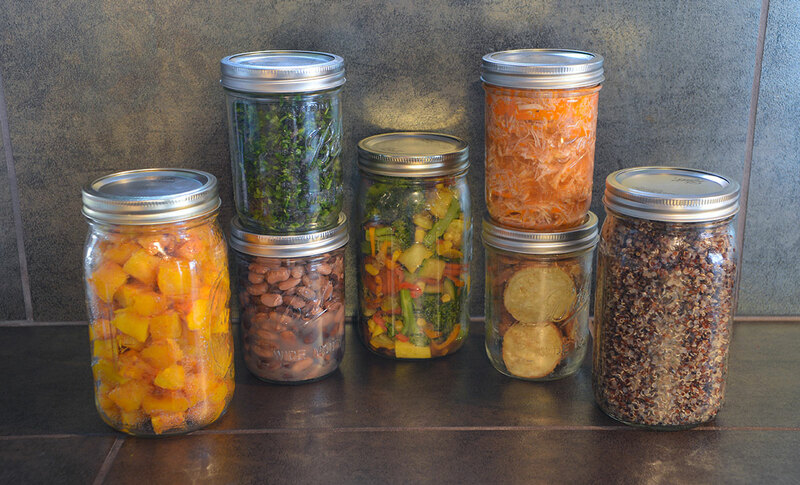 Jars are a big expense for Kung Food so it is very important that we get them back each week in order to keep costs down. Q: How can I place an order for my friend/parent/child? A: Go to the order page on the website, place an order just like you would for yourself, but instead of entering your address for delivery, enter theirs – that’s it! Remember, it must be in Ashland for delivery, and of course no PO boxes. Delicious and nutritious food delivery in Ashland, Oregon. Sign up to receive the weekly menu, news and order reminder.